One hour long training and socialisations sessions set over a six week period. 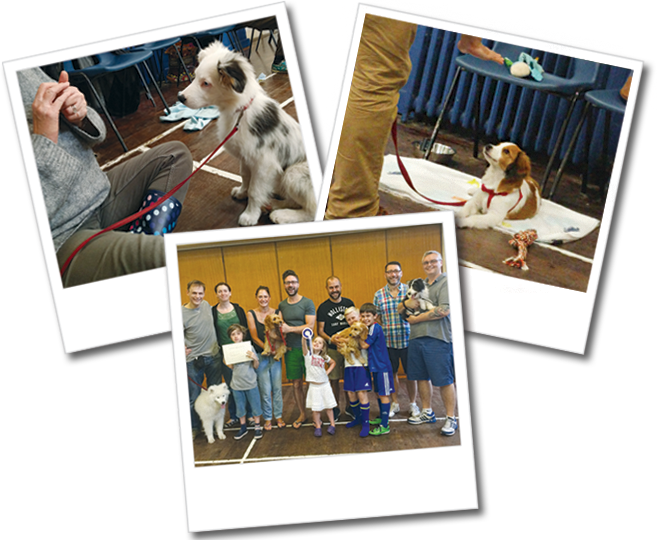 Puppy School courses are one-hour long training and socialisation sessions set over a six week period. The comprehensive programme has been carefully designed to take you through all the obedience basics giving you a good foundation for life with your new puppy. Puppies must be 20 weeks or under at the start of the course and they must have received their first vaccination. The full six week course costs £150, included in this price you will receive a full colour booklet detailing all of the training exercises for you to refer to as well as a £15 voucher + Free delivery for Natures Menu dog food. Classes are run on Saturday mornings at St.Mary’s church hall, The Avenue, West Wickham, BR4 0DX.